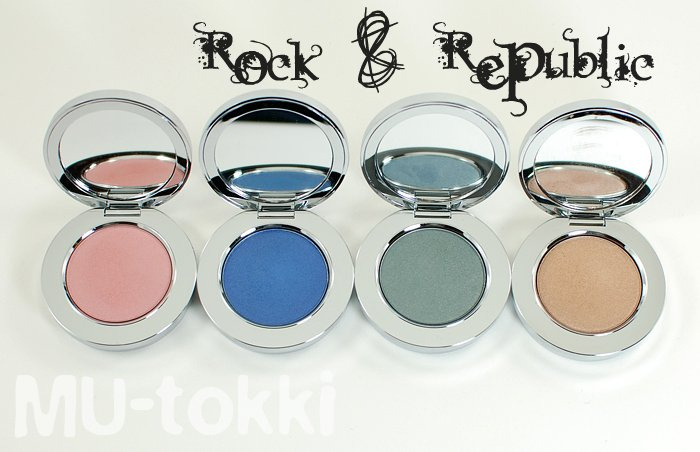 Here are four more Rock & Republic eye colors for your viewing pleasure! 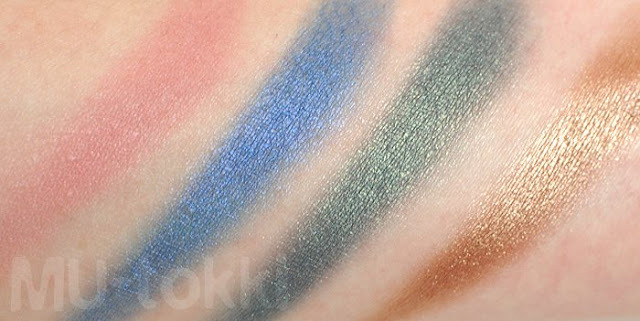 The buttery application and minimal fallout from the first four I already reviewed mostly apply to these colors as well. 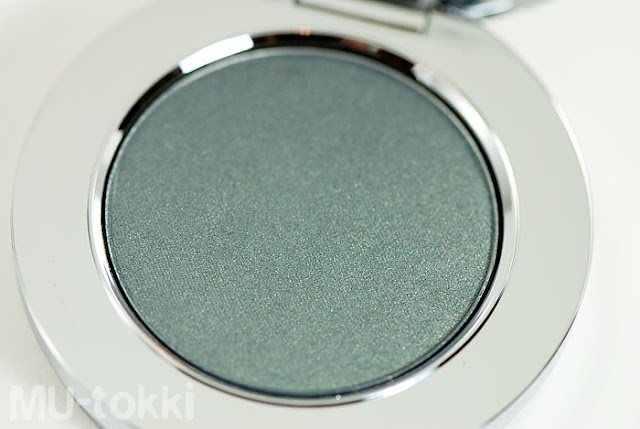 How would you describe the color of Emerge in the pan and on the skin?